As I make progress on the costumes that I am designing for Nate and myself for Halloween, I was puzzled over how to make a pair of Beast Mitts. I pooled over ideas of what would work, what would be comfortable for an evening of partying with our friends, what would look like a pair of paws with claws? All these questions are answered in this pair of open finger gloves. These mitts are not meant for freezing temperature days. Just by appearance, it’s obvious why. These are strictly for costume purpose. However, but omitting the finger/claws you would have a basic pair of fingerless gloves or hand warmers. I used Red Heart Boutique Fur to cover these paws. You are free to use creative choices for the type of fur you would like to use. You can create a different look by using different types of furs. The pattern can be adjusted for any size hand. In my video, I created this pair to fit a larger sized man-hand. With easy math, you can make this pattern from child size to an XL hand size. Have fun with this costume/prop accessory. It is perfect for so many designs – wildcats, bears, lions, werewolves, beasts, monsters, etc. Here is the link to the hat which was the first part of this costume. -The pattern video tutorial starts at 7 minutes and 22 seconds. The first 7 minutes are frequently asked questions and other information. 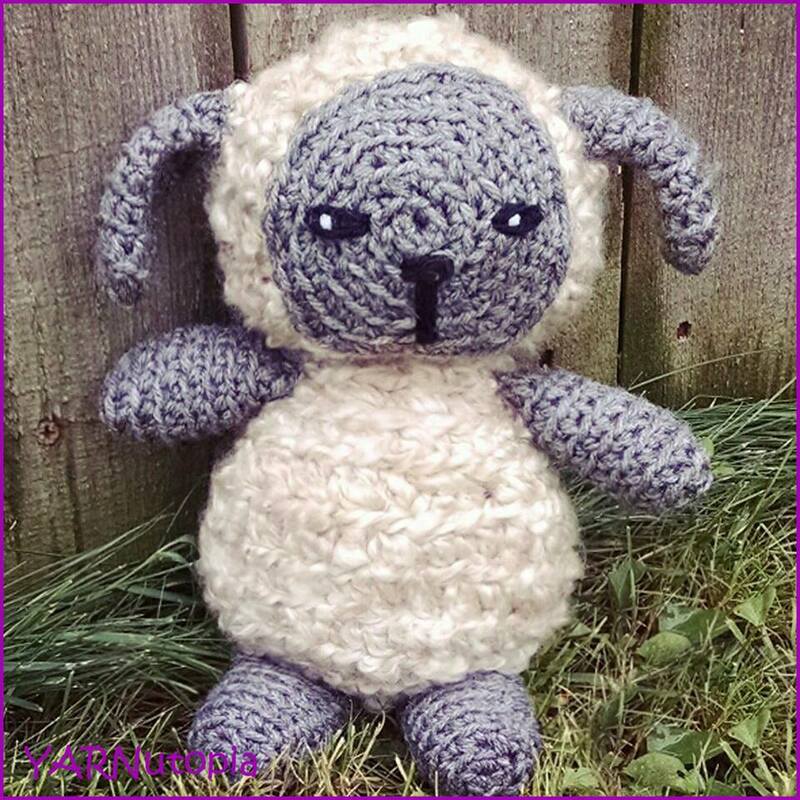 -This pattern is written for an adult size, but if you watch the whole video tutorial, I explain how to make these bigger or smaller. -This video tutorial shows only the Right Hand, but with simple modifications, you can make the left hand. Rows 2-32: SC in each st across, ch 1 turn. Index Finger: Ch 1, SC in next 4, [ch 2, turn, DC across] 5 times. Fasten off. Middle Finger: Ch 1, SC in next 4, [Ch 2, Turn, DC across] 5 times. Fasten off. Ring Finger: Ch 1, SC in next 4, [Ch 2, Turn, DC across] 4 times, ch 2, HDC across. Fasten off. Pinky: Ch 1, sc in next 4, [Ch 2, Turn, DC across] 3 times. Fasten off. Thumb: Ch 1, sc around thumb (5 sts), [Ch 2, Turn, DC across] 3 times. Fasten off. Sew claws to the tips of the fingers. See video tutorial for visual instructions. Add fur to the back of the hand by weaving it throughout the hand with a yarn needle. See video tutorial for more visual instructions. Fasten off, weave in all loose ends. Click this image to learn how to make a beast hat to match! Perfect for the gamer, this Minecraft Creeper hat is an easy pattern to work up in a few short hours! My video tutorial demonstrates the pattern for the beanie as well as the character detail. I was fortunate enough to have Nate model a sample, but in the video tutorial, I demonstrate how to make a toddler/child size hat. You can go on to increase your stitches to make this larger after round 7. See the notes section for further instructions. For hat sizing and stitch counting, follow along with the measure guide chart in this post here. -Join to the first DC of the round in the hat portion, NOT to the ch 2. Round 10-16: DC in each st, join, ch 2. Sc around entire piece. Fasten off with long tail for sewing. Sew pieces to hat, weave in all ends.